Whether it is stock markets or bond and currency markets, they are after all markets, so we will continue to pursue market-oriented reform and establish a sound, legal framework for the operation of those markets. We believe that there will not be a hard landing as long as we stick to the reform path. As for the ongoing general election in the US, it has been lively and has caught the eyes of many. I believe that no matter, in the end, who gets into the White House, the underlying trend of China-US ties will not change. Nationally speaking and in the long run, there will absolutely be no problem for meeting pension payments by the Chinese government. We must make persistent efforts to forge ahead on this government reform and wherever there is an obstacle to this reform, the government must get right on it. The reform will cut government power but we are determined to keep doing it until our job is done, as that will deliver clear benefits to our people even if the government has to make painful adjustments. We hope to make it a win-win process and will strive to strike a proper balance in between. In the process we hope that by cutting overcapacity in those heavy industries, we will bring about a sustained and sound growth in these sectors. Hong Kong can further use its own comparative strength and seize the opportunities offered by mainland development. The central government will give full support to any proposal from the SAR government that helps maintain Hong Kong's long-term stability and prosperity and contributes to people's well-being in Hong Kong. The campaign of mass entrepreneurship and innovation is to put in place a platform for the development of various types of companies and research institutions, and to create a broad space for crowdfunding, crowd innovation and crowdsourcing. 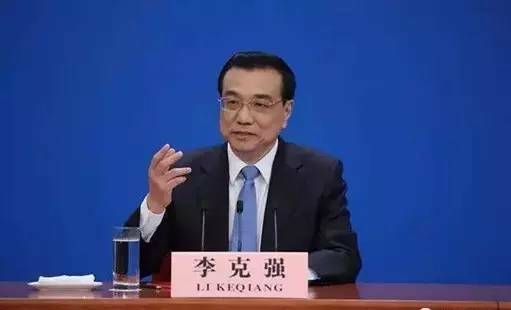 Premier Li Keqiang met reporters from home and abroad at a news conference on Wednesday at the end of the annual meeting of the National People’s Congress. Premier Li answered questions on various topics such as the economy, financial reforms and diplomacy. Premier Li Keqiang: Just now, I heard the spokesperson say that today we have many journalists here. I heard that many of you arrived here 2 or 3 hours in advance. I thank you for your attention. Since we have limited time, I invite you to be direct with your questions. CNN: President Trump has consistently criticized China for stealing U.S. jobs, manipulating currency exchange and not doing enough to maintain regional security. I understand that President Xi and Trump may meet as early as next month. What do you expect to receive from the U.S.?